Forty of the Tavern is a place for several years now present (read the our history), in the same place, center near the Colosseum in Rome. So many customers we have reviewed this page and let us read what they say about us. “A 2 walk from the Colosseum, we had lunch at the Taverna dei Quaranta typical Roman restaurant with checkered tablecloths red and white. We had lunch outside, and the service was not celerissimo, but then we figured out why. The interiors were fullest. Situation justifiable, seen the excellent quality of food. I highly recommend to book, seen the number of people. 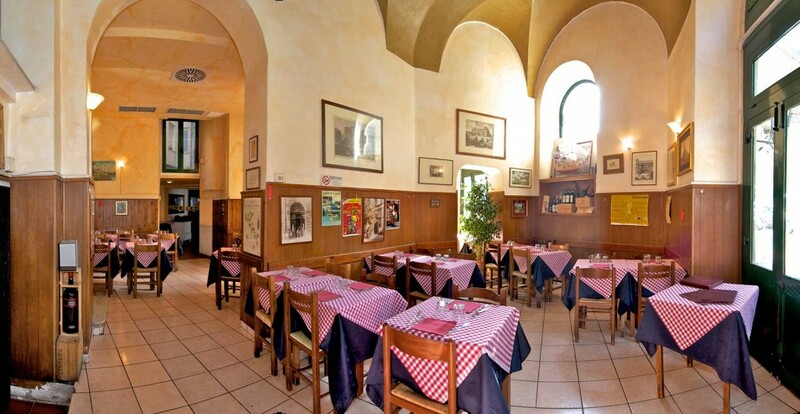 Needless to add comments to what has been written by our very satisfied customers, We are proud to be among the best restaurants Downtown Rome (read the original page). “We were so good that we returned on our last day. As soon as they realized that we were British the waiter went to another client whose wife was English and therefore could speak to us in English. This allowed us to create a menu, this means that we could try a good number of things and the recommendations were incredible! The staff was friendly and helpful, but it leaves you feel when you savor the food, The house wine was very good and the bill was cheap. Needless to say, the satisfaction of our local cuisine (look at the menu). If you also want to say your experience at Taverna Dei Quaranta send me write it below.